J’adore la France! 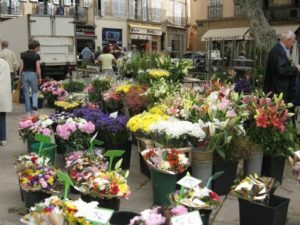 Although my first overseas destination was Paris, a quaint town in southern France stole my heart…Aix-en-Provence. I spent a spring semester studying in Aix (pronounced “ex”), and from the first glance out my hotel widow, it was love at first sight. 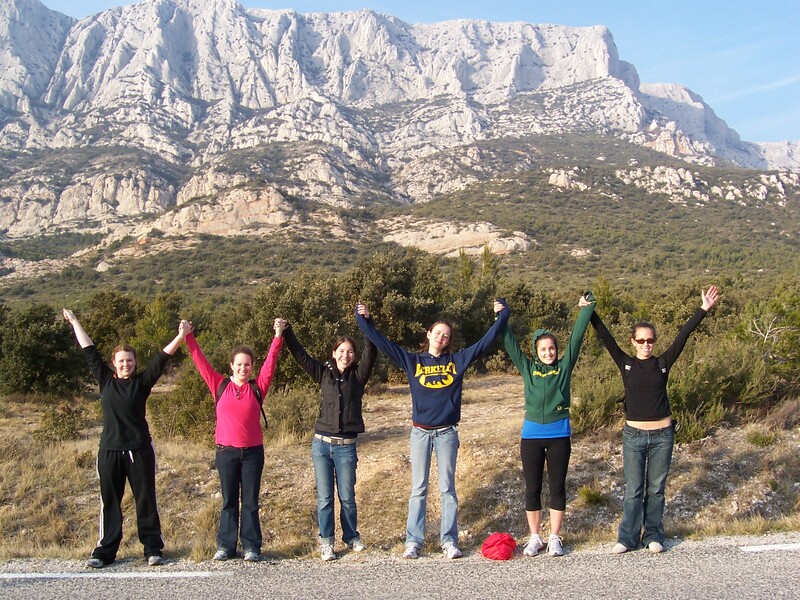 Ok, so enough mush…what should you do in Aix? 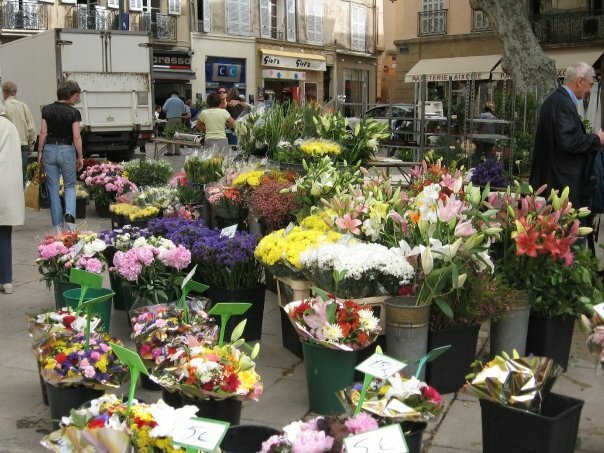 There are a number of markets in Aix: flower, fruit & vegetables, fish, antiques, craft, second-hand clothing, and book. These markets occur on different days of the week (please click here for details). Personally, I loved walking through the flower markets every morning and grabbing snacks from the vegetable market. I also snagged a cute leather purse at the Saturday craft market. 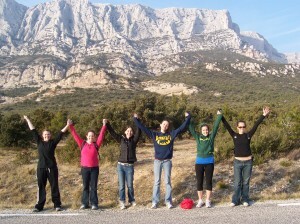 Mont Sainte-Victoire is the mountain on the outskirts of town and made famous by Paul Cézanne’s paintings. There are multiple hikes, so make sure to check out the guide beforehand. The local Tourism Office also has information on the different hikes, plus information on buses that stop at the mountain. Known as “the city of a thousand fountains,” every twist and turn there seems to be a fountain. Some of these fountains date back to the 1600s. 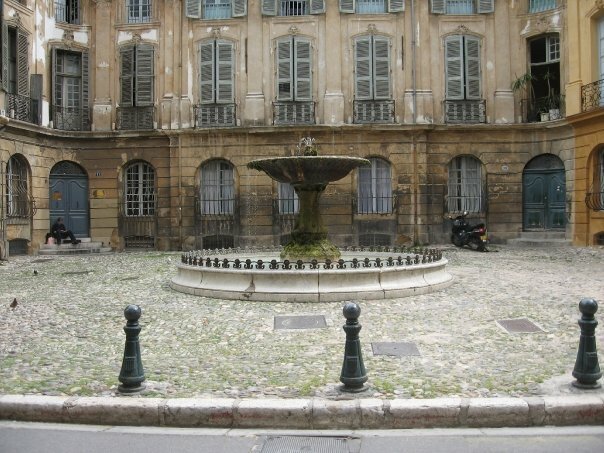 The Fontaine des Quatre Dauphins (Fountain of Four Dolphins) was just down the road from me, and it was built in 1667. 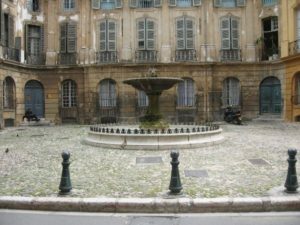 Make sure to find the fountain at the Place d’Albertas (pictured above). Click here for a list of more fountains. 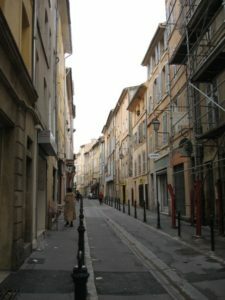 Part of the enchantement of Aix is wandering and getting lost. During the spring and summer, the Cours Mirabeau (main street in town) is lined with lush plane trees and it feels as if you’re walking through a tunnel of green leaves. As you wander down the Cours (nickname for the Cours Mirabeau) stop at a café before heading up to the Hôtel de Ville (Town Hall).